Podcast 514: You don’t know, Jack? 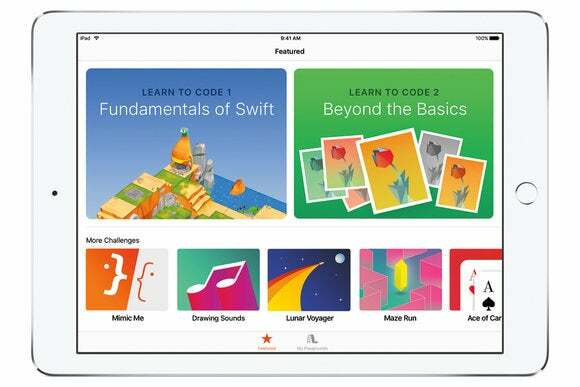 Headphone jacks (or the lack thereof), an end of Thunderbolt displays, and Dropbox’s new features, plus Swift Playgrounds in depth. What’s up with the headphone jack obsession about the upcoming iPhone 7 models? Host Glenn Fleishman and Macworld’s associate managing editor Leah Yamshon discuss how much virtual ink has been spilled for how long, and yet nobody outside Apple still knows what’s coming. Leah and Glenn also ponder other iPhone 7 rumors, the end of Apple’s sales of the Thunderbolt Display, whether new AirPort base stations are coming, and if MacBook Pros will be updated later this summer. We talk about iOS 10 and macOS Sierra, due out in July as public betas, and new features coming from Dropbox for free and paid users. Joining Glenn at the end of the podcast is Fraser Speirs, head of secondary at Cedars School of Excellence in Scotland to talk about Swift Playgrounds, a new app from Apple to teach kids (and adults) programming. Fraser and the school are in the middle of raising £10,000 to buy out the leases on iPads used in the school for three years, in order to donate them to The Barefoot College, which will use the devices to help train women in rural India to build solar energy projects in their community. Our constantly updated iPhone 7 rumors update. Dropbox updates features for free and business users.